This is a Care Homes and Home Care Directory specifically for Wales. We are independent, and hence all listings with us present an unbiased view of the services and facilities available in Wales. On this site you will find listings for a number of Gwynedd Care Homes, Conwy Care Homes, Anglesey Care Homes, Denbighshire Care Homes and Flintshire Care Homes, to try and make a difficult decision as easy as possible. We also cover the rehab and recovery sector. 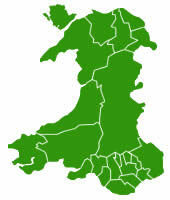 A comprehensive directory split into the counties of North Wales. Rehab and Recovery We have a number of resources to help our site users navigate this area. Products and Services for Care Homes. Finally, if you are a care provide or supplier to the industry owner want to get listed here FREE, please contact us, or add your business yourself by clicking here.